Mrs. Estée Lauder at Sakowitz Brothers department store in Houston, Texas in the early 1950's. Since Mrs. Estée Lauder founded our Company in 1946, we have always differentiated ourselves by exceeding expectations in everything we do. The craftsmanship and quality of our products, combined with our commitment to excellent personalized service and education, come together to deliver superior performance and to inspire positive emotions in our consumer. This extraordinary experience is what we call High-Touch. 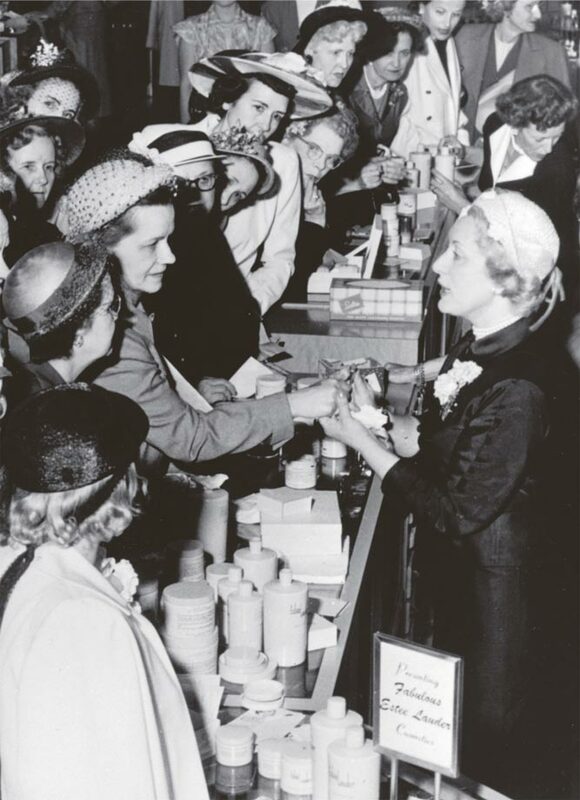 High-Touch is the unique connection that exists at counters and in our stores around the world and how we delight our consumer and continue to meet her desire for the ultimate product efficacy and prestige experience. Simply put, High-Touch is bringing the best to everything we do and one of the ways we will achieve our Company's vision to be the global leader in prestige beauty.